The Chicago Business Barometer, also known as the Chicago Purchasing Manager's Index, is similar to the national ISM Manufacturing indicator but at a regional level and is seen by many as an indicator of the larger US economy. It is a composite diffusion indicator, made up of production, new orders, order backlogs, employment, and supplier deliveries compiled through surveys. Values above 50.0 indicate expanding manufacturing activity. The latest Chicago Purchasing Manager's Index, or the Chicago Business Barometer, fell to 56.7 in January from a revised 63.8 in December, which was below the Investing.com forecast 61.5. 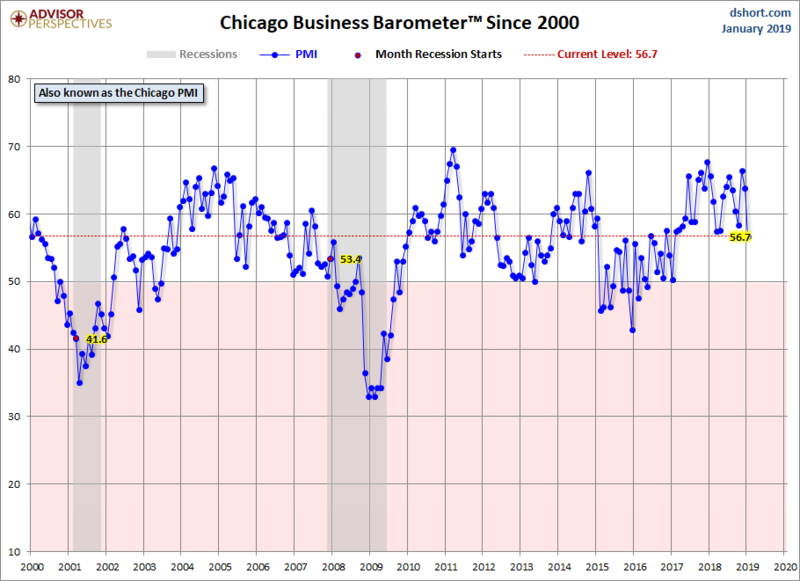 “The MNI Chicago Business Barometer had a sluggish start to 2019, pressured by significant drops in both New Orders and Production, resulting in the lowest headline reading in two years,” Jai Lakhani, Economist at MNI Indicators, said. 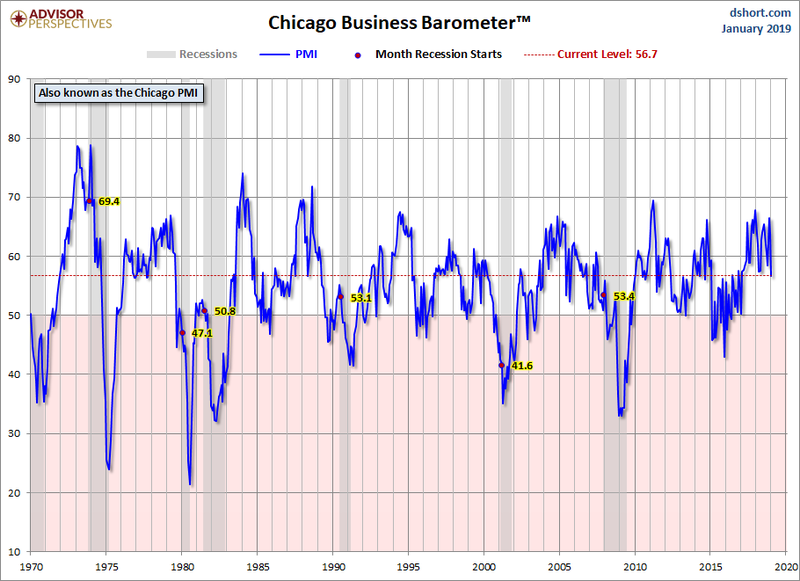 Let's take a look at the Chicago PMI since its inception. Here's a closer look at the indicator since 2000. 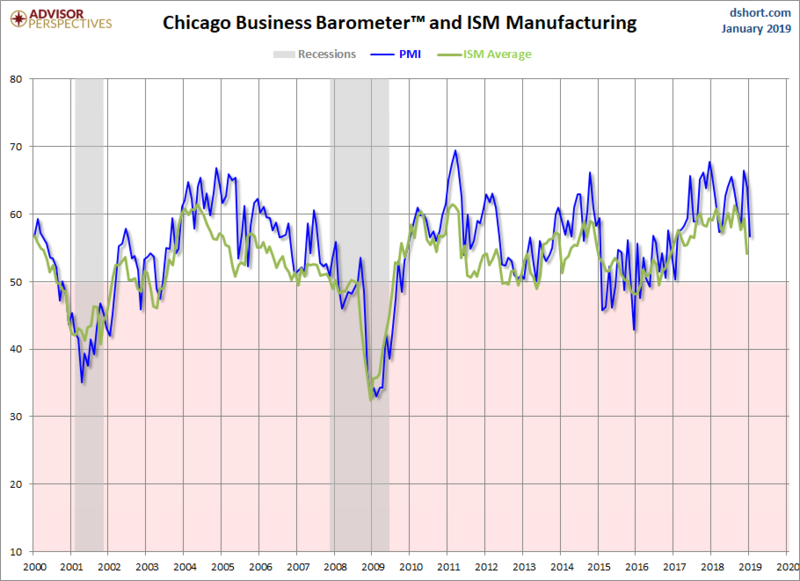 Let's compare the Chicago PMI with the more popular national ISM Manufacturing Index. Both indices clearly follow one another with the ISM falling slightly lower on average. Note the ISM Manufacturing indicator is through the previous month.